Anniversary Celebrations, Family Reunions and of course - History Buffs. The Oakville Town Square features the Historic Oakville Jail built in 1887. It has been restored for use as a Guest House and a Gathering Place for Special Occasions. The Oakville Jail is in the National Registry of Historic Places and is also a Designated Texas Historic Landmark. 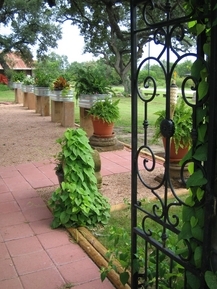 The Town of Oakville is a Designated Texas Historic Landmark. Our Post Office Cabin features the original Post Office Boxes of Oakville. 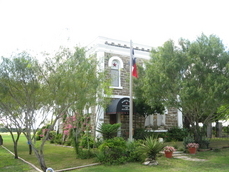 As such it's also a Designated a Texas Historic Landmark as the first Post Office in Live Oak County. In addition to these two historic guest houses we also offer the Settler's Haus, the Mercantile ,the Hinton Homestead and the Brown Cattle Company. All six afford comfortable and interesting surroundings for your stay! or email us at historicoakvillejail@yahoo.com.